The company was set up by Stephen Lay, a qualified mining engineer, graduate of the Camborne School of Mines, Chartered Engineer and Fellow of the Institute of Materials, Minerals and Mining (formerly the Institution of Mining and Metallurgy). He has 30 years of experience from discovery through to production in advisory, technical, management and executive roles. 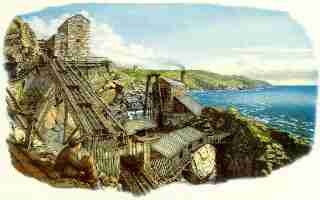 This includes 13 years in the Cornish tin mines. In 1996 MMC was awarded the �In Pursuit of Excellence� status, an initiative supported by His Royal Highness Prince Charles �to promote the awareness of technical and commercial excellence�.